White coloured jacquard net curtain with polka dots. 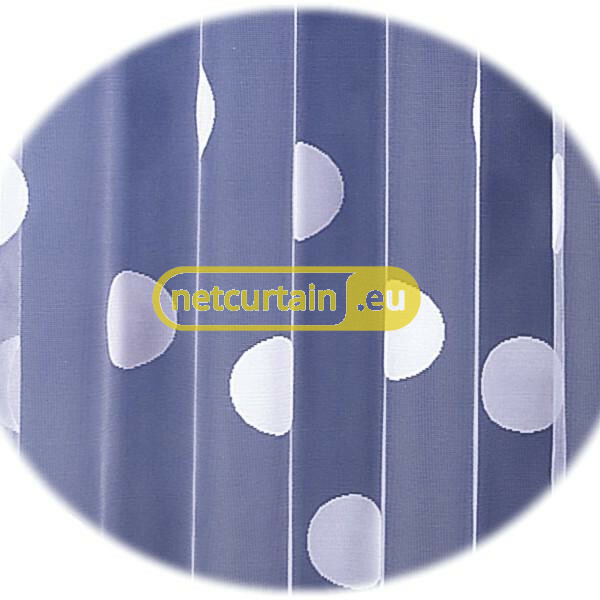 For this net curtain we recommend gathering type 1:1,75. 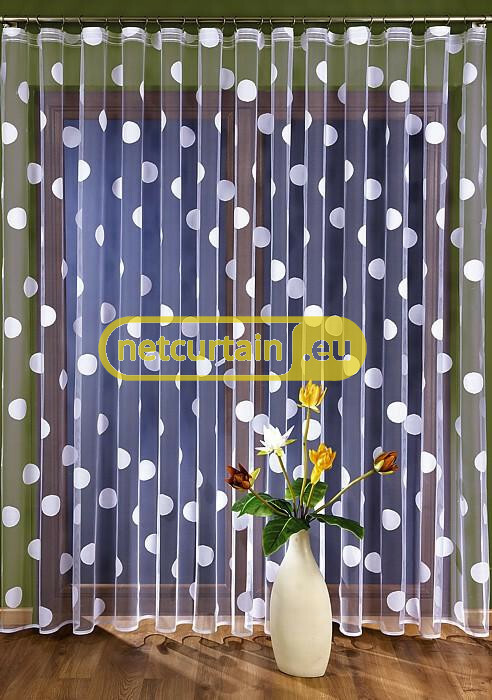 This means - for 300 cm curtain rod it is recommended to get about 520 cm (width before gathering) of net curtain.